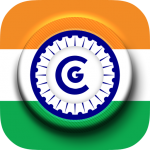 Sub: Compassionate ground appointment to the kith & kin of Railway employees and died in harness as bachelor – need to issue instructions-reg. 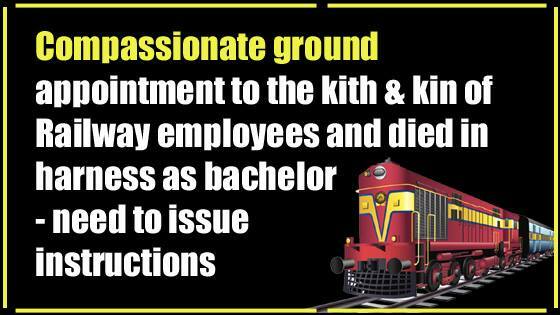 Railway Authorities on certain divisions/zones are reluctant to consider offering appointment on compassionate ground to the kith & kin of railway employee died as bachelor. These cases included the cases of persons appointed under LARSGESS (who unfortunately died as bachelor). Federation feels that denial of compassionate appointment to the next kith and kin of bachelor employees die in harness is unfair, considering the fact that the bereaved family is required to be provided with bread winner (through compassionate appointment to the kith & kin of deceased staff). NFIR therefore, requests the Railway Board to kindly review the extant instructions and issue suitable clarification to the Zonal Railways etc., to consider providing compassionate appointment to the kith and kin of deceased bachelor employees (including LARSGESS appointee) in order to provide relief to the families of such employees. A copy of the instructions issued may be endorsed to the Federation.